This weekend is guaranteed to include a historic first meeting. 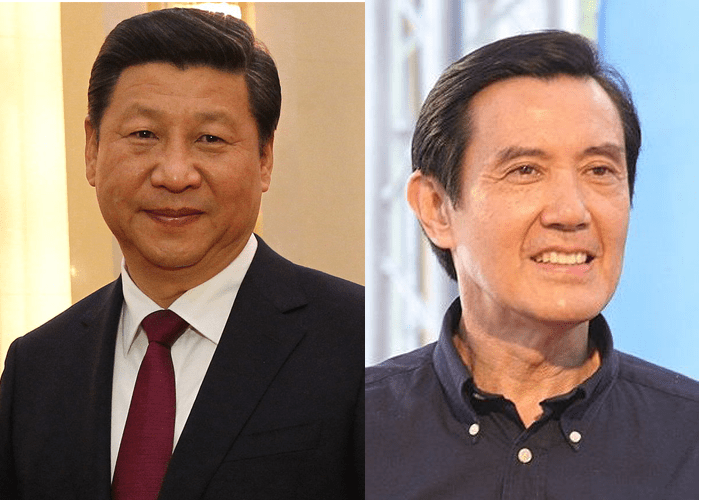 On Sunday in Singapore, for the first time since the Chinese Civil War in 1949, the president of the People’s Republic of China, Xi Jinping, and Ma Ying-jeou, the president of the Republic of China, aka Taiwan, will meet face-to-face. The summit is viewed by some as a positive step toward unification between the two nations. However, not everyone is supportive of this idea. Over the last eight years, China has attempted to use its economic power to create a more favorable view of its government in Taiwan. This has met with limited success, despite discounted flights between China and Taiwan, an undersea pipeline, and the lifting of a ban that prevented Chinese tourists from traveling to the island. That final incentive has resulted in increased tourism revenue in Taiwan, as now over four million Chinese visitors travel to the island each year. Nevertheless, the current ruling party, the Kuomintang (KMT), has been losing favor with Taiwanese citizens. In an upcoming election, it appears that the Democratic Progressive Party (DPP) will win the presidency in 2016. If such an election result occurs, it will be the first time since 1949 that the KMT isn’t in charge of the sovereign island state. In many ways, critics of the KMT view the summit between President Jinping and President Ying-jeou, who will drop their official titles and only refer to one another as ‘Mister’ during the friendly meeting, as the last desperate action of a party that has lost touch with the majority of Taiwanese inhabitants. 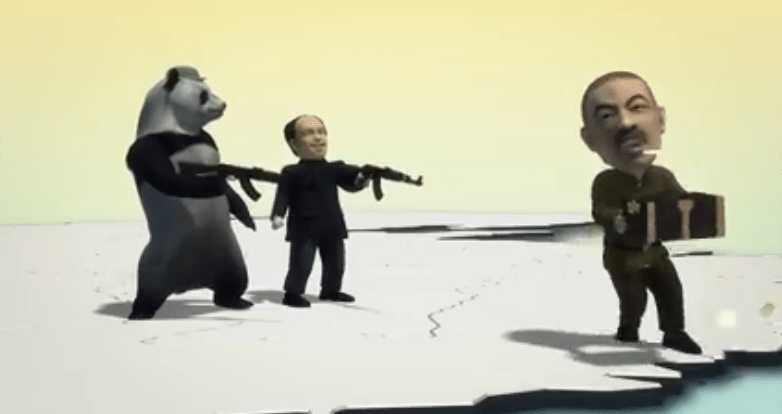 Into this tense atmosphere, the Taiwan-based Next Media Animation TV Company has produced a video short to highlight the relationship between the two nations over the last eight years. Particularly enjoyable parts of the film include Chinese tourists, shopping bags in hand, pooping all over the streets of Taiwan and the two presidents engaging in a war of the word “Mr.” while a panda throws punches at both leaders. Then there’s that same panda, or maybe one of its siblings (pandas all look alike to me), standing next to Mao Zedong as both fire AK-47s at a fleeing Chiang Kai-shek. Near the end of the video, Taiwanese children giving the middle finger to President Jinping and his beloved panda before escalating the hostility. We don’t give out spoilers here, so you’ll have to watch to learn the epic conclusion. Honestly, there are a lot worse ways you can spend two minutes of your time online than watching this video. It checks all the boxes for why you’re here: Weird. Asia. News.